Born from Shimano technology and crafted with G. Loomis expertise, the G. Loomis Asquith All Water Fly Rod is one of the most technologically advanced fly rods in the world. Built for demanding freshwater and saltwater conditions across the world, the Asquith Fly Rod is available in 4-12 weights. Spiral X Technology is a 3-layer process. It creates a rod blank by first using Shimano�s carbon fiber infinity tape core layer, then a straight, longitudinal layer of musclecarbon, and finished with a top layer of reverse-axis infinity taper outer layer. Have I lost you yet? For a visual demonstration of the three layers that comprise Shimano�s Spiral X Technology, check out the video below. This construction increases your casting efficiency and accuracy because it keeps the rod more rigid; therefore, there is minimal side-to-side motion or �twist� during your cast. In this way, it is similar to Sage�s Konnetic Technology. This reduced torsional blank twist keeps the rod tracking throughout the entire cast. 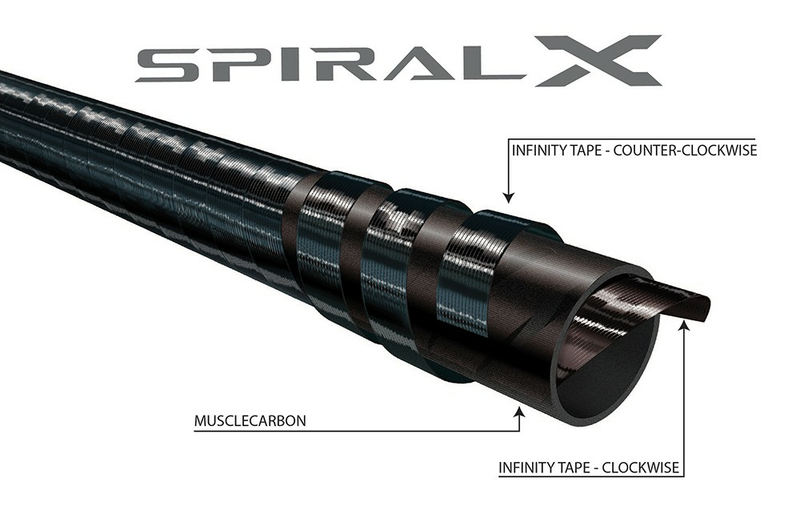 Spiral X Technology also creates a blank with a thin wall, thus keeping it lightweight. These rods actually use 15% less material than traditional graphite rods. However, it is still incredibly strong and durable, with unprecedented hoop strength for its weight. This means it will not let you down when you are battling a large fresh or saltwater fish. This is a fast action fly rod that can generate a lot of power, so it is great in situations where fast line speeds and accuracy are a necessity. This also means that it excels in windy conditions or when long casts are required. The 4-6 weight freshwater rods are characterized by a smooth but fast action which gives it a wide range of fishing applications. The 7-12 weights have increased power levels in order to achieve the demands of fishing with these heavier weight rods. 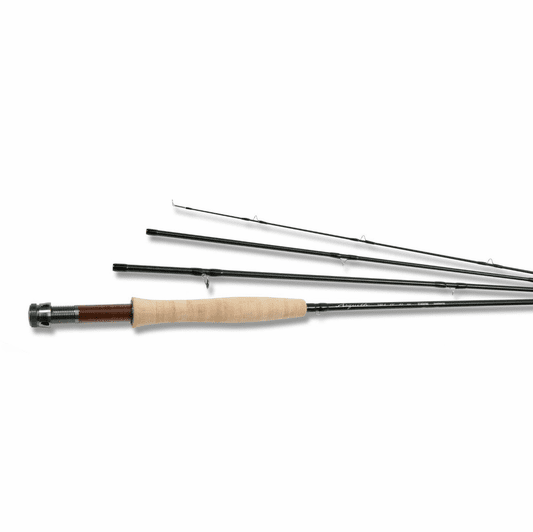 The G. Loomis Asquith All Water Fly Rod is touted as an all water, all around the world rod. It is available in 4-12 weights, so it can target anything from brook trout to tarpon or steelhead to permit. 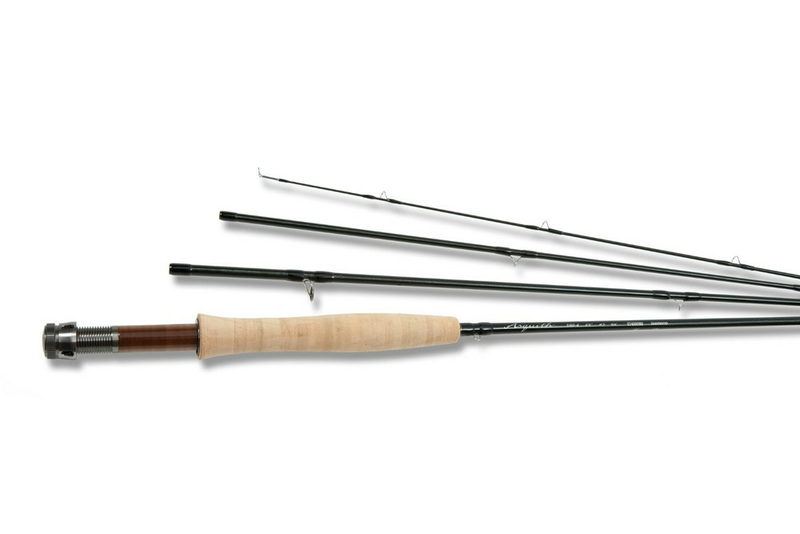 The Trout focused rods of this series are the 4, 5, and 6 weights. They feature bamboo/aluminum reel seats. The 7-12 weights are the saltwater-ready models and come with aluminum non-corrosive reel seats and components. Steve Rajeff, one of the key designers of the Asquith Fly Rods notes that the 4-6 weight rods performed best with an Airflo Elite or SA Mastery Series Trout line. We also recommend the InTouch Rio Gold, Grand or Perception as well. For freshwater fishing up to the 8-weight rod, the Airflo Exceed, Rio Steelhead/Salmon Taper, or Indicator II line works great. For saltwater fishing, the 7-12 weight rods are best with an Airflo Tropical Punch or SA Bonefish & Tarpon Taper lines.